Awesome! I needed the symbol for word tornado. 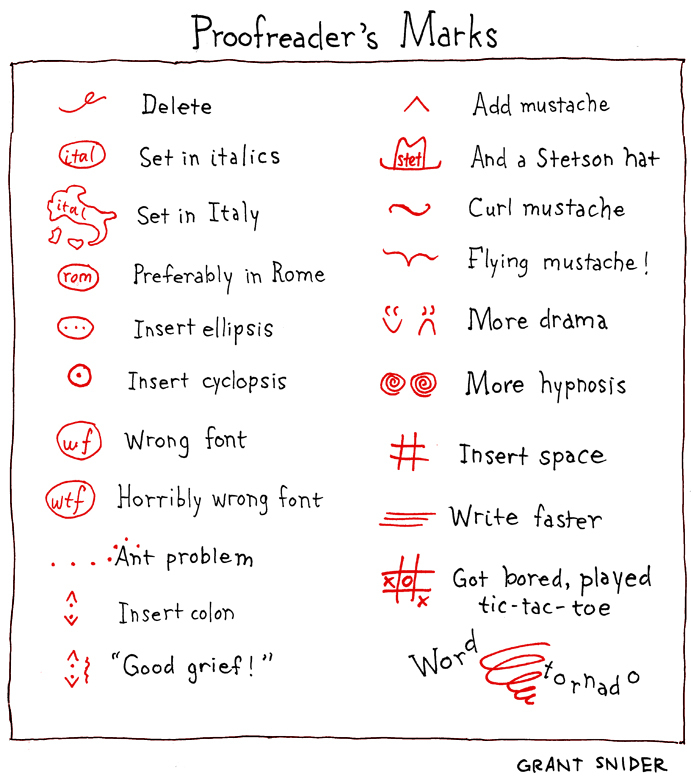 I'll use "write faster" and "got bored" all the time! Proofreader here, sharing with all my friends immediately! Yes! Ummm... While there is a word tornado markup, there isn't yet one for wordgasm. Yet! Haven't seen marks like those for 35 years - is "word tornado" really a thing? And if so, what is it?? These are the marks I've always used.